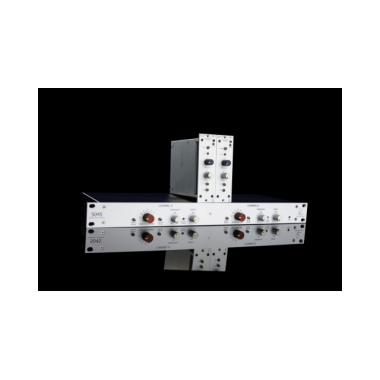 Based around the circuitry in the acclaimed Portico 5045 – which has benefited countless tours, arenas, houses of worship and broadcast stages worldwide – the 545 is a mono device for vocal or instrumental applications, and is compatible with any 500-Series rack. 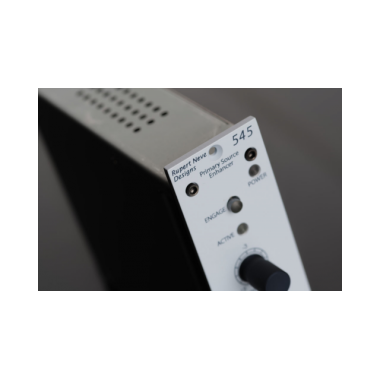 Exceptionally useful at reducing feedback without negatively impacting the sonic integrity of the source, the 545 effectively increases the level of a live microphone signal before feedback occurs by up to 20dB. 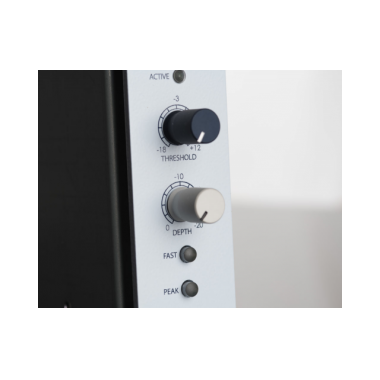 With simply laid out, easily adjustable controls, the 545 is an invaluable addition to any setup where feedback or reverberation are problematic. 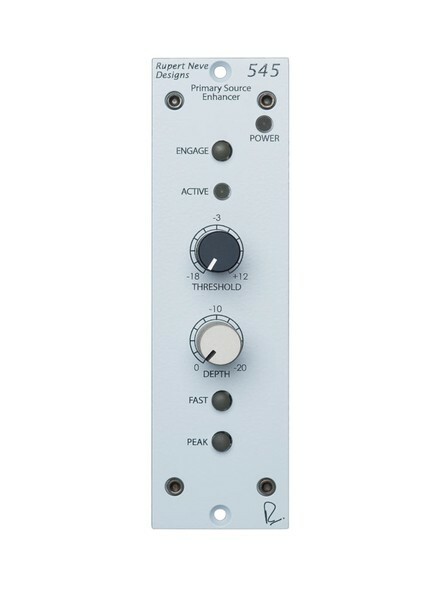 The 545 shares some traits with conventional "noise gates", but operates on a different principle. 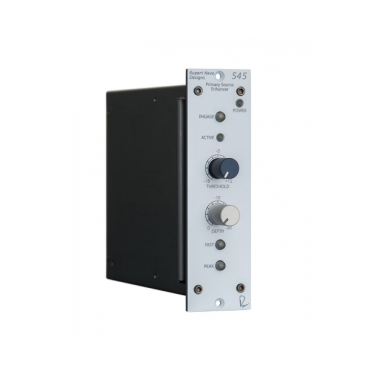 One common aspect is that both reduce the gain during the absence of signal – or more specifically, both begin to attenuate when the level of a signal falls below a certain user-defined threshold. 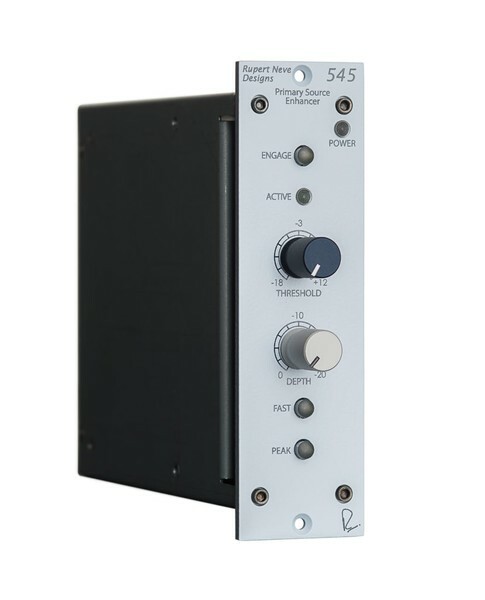 The 545 senses when someone is speaking or singing into the mic and allows the signal to pass through, and senses when the person has stopped talking or singing and reduces the gain appropriately, reducing the system’s tendency to feed back. 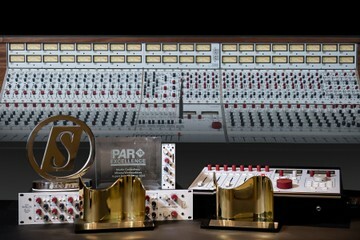 With a minimal control set, the 545’s ease of use makes it ideal even for circumstances where a full-time or experienced engineer is not readily available, and allows for rapid adjustments on-the-fly even during performances. 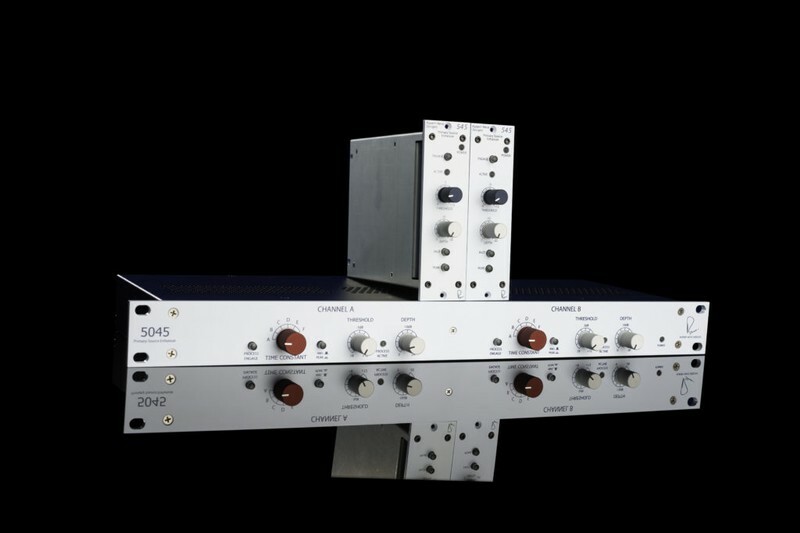 Sets the dBu level at which the Primary Source Enhancer engages. 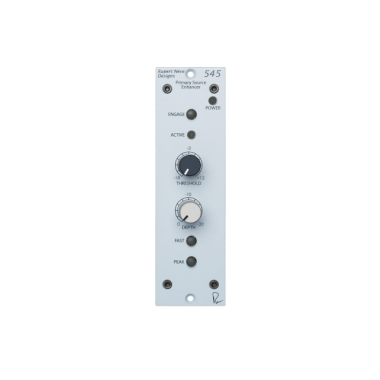 Illuminated push-button that selects between RMS and Peak detection modes. 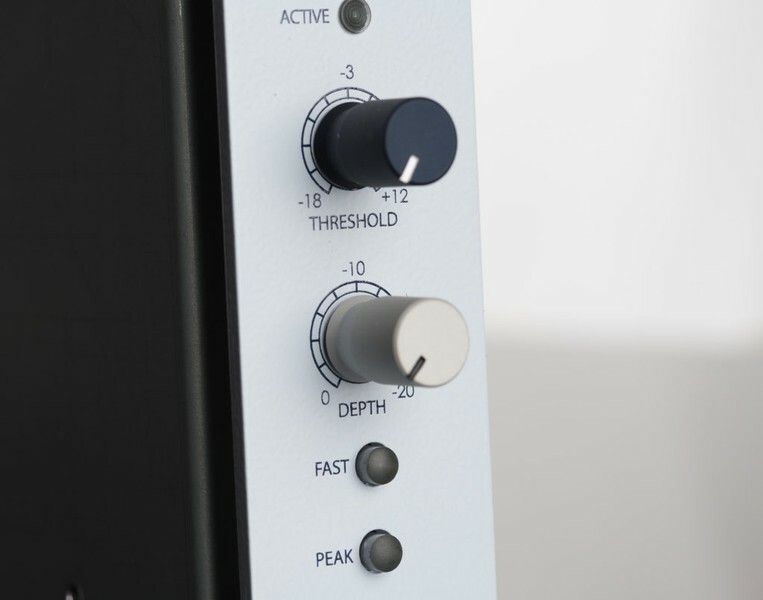 When illuminated, the 545 is in PEAK mode – useful for detecting faster transient peaks, and for creative dynamic envelope shaping. 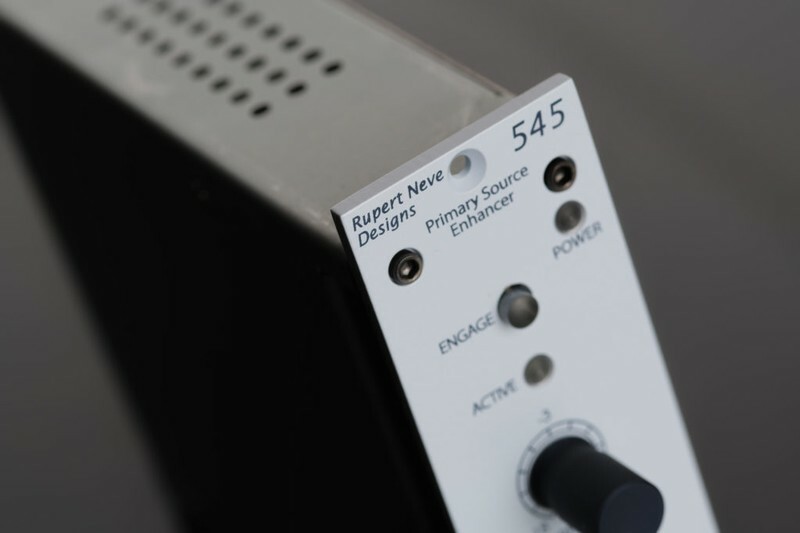 When not illuminated, the 545 is in RMS mode, which utilizes a slower, more averaged response characteristic in the sidechain.